Motivation: What Influences It, What Enhances It? Motivation is concerned with one’s direction and intensity of effort. It can be defined as “the process that accounts for an individual’s intensity, direction and persistence of effort toward attaining a desired goal”1. Intensity refers to how much effort you put into a particular situation, for example racing or training. Direction refers to whether an individual seeks out certain situations or events. Persistence is simple in that, how persistent you are in attaining the desired outcome be that in a singular session or over a season. Motivation can be broken down into roughly seven types: Intrinsic (within you), Extrinsic (external rewards), Primary (basic survival needs), Secondary (learned experiences that aid in primary motivation), Initial (what gets you started), Pre-Event (before the goal) and Long Term. As people and athletes, we experience all these types of motivation on a daily basis! There is no good or bad but perhaps certain situations require different strategies to positively effect motivation. Self-Efficacy plays a fundamental role in one’s motivation. The theory of self-efficacy2 suggests that “previous past performance is the biggest predictor of situational confidence”. In basic terms it means if an athlete believes they will be successful they are more likely to participate. In relation to motivation athletes with higher self-efficacy tend to try harder, persist longer, choose more difficult tasks and experience effort more positively3. When we look at this definition then self-efficacy should be able to help us overcome self-doubt which can really inhibit motivation! For example, an athlete entering a major competition will experience less self-doubt if they have experience competing in that environment before. Obviously this isn’t always possible, but we can control our ability to perform a skill well, fitness levels and tactical decisions outside of competition which then translate to higher self-efficacy within it. Goal or Achievement Orientation also contributes to motivational states. 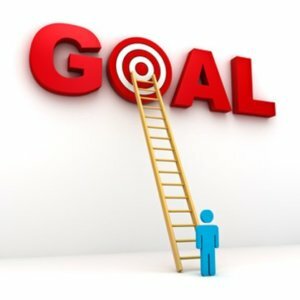 Sustained motivation hinges on goal orientation which can be split into three areas: task mastery, ego or achievement 4. Athletes with task mastery orientation focus on improving their ability over time rather than focusing on current ability level. These athletes are motivated by the process of improvement i.e. one step at a time. This type of orientation is associated with high levels of competence and ability thus improving motivation! Ego orientation concerns itself with one’s current ability level, for example the athlete may focus on purely outperforming others and not better themselves. It’s not hard to see that there is a high level of extrinsic (external reward) motivation here. This is not indicative of sustaining motivation for long periods, the athlete’s perception of ability is based on beating others which we know isn’t always possible due to multiple variables! Achievement motivation theory links itself to the athlete’s personality. It proposes that athletes can have a high and low need to achieve, those with a high need to achieve typically conform to task orientation thus increasing motivation. Goal setting gives the individual a map or a guide to which they will channel all their motivational energy into. Goals can be broken down into outcome, performance and process. Outcome refers to a specific outcome such as winning. Performance refers to the attaining of a personal result. Process goals (which we are a massive fan of here!) refer to executing mini goals along the path to a greater result, these mini goals are challenging but controllable. If the result doesn’t go our way we know we did everything in our control to make it happen. Examples of process goals would be a pacing strategy in a race, positioning in a group, fuelling during an event or hitting your key training sessions. A great way to set goals is to use the SMART acronym5. Specific, measurable, attainable, relevant and timely. People are motivated to participate in sport for many different reasons; personal satisfaction, winning, money, friendship are only a handful of examples. A classic example of this is with youth sport, often youth athletes ultimately just want to have fun in their sporting pursuits. Adults may have similar motives, but health and fitness may play a bigger role. Why is this important? Well, it helps both the coach and the athlete form goals and expectations. If goals are set in line with your motivation for participating in sport, then your motivation to participate goes up. 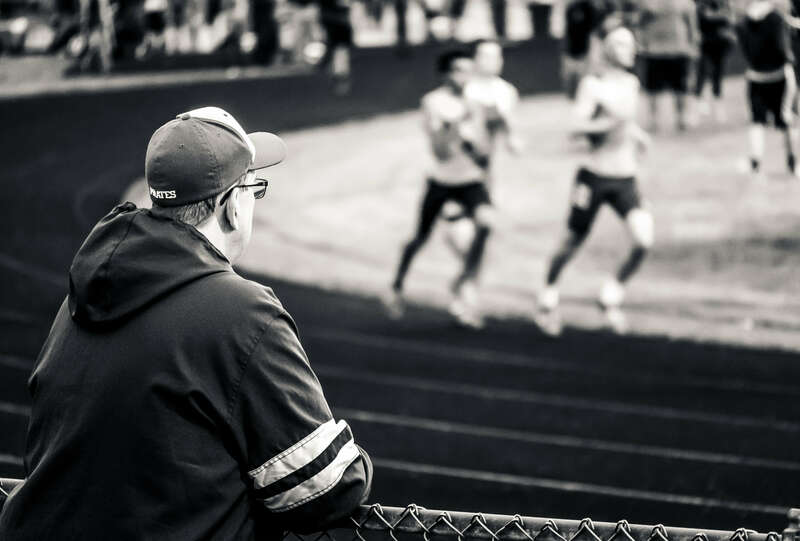 A coach may also heavily influence an athlete’s motivation both negatively and positively. The coach, as previously mentioned, should have a part to play in the goal setting process. The coach needs to ensure the goals are attainable first and foremost, unrealistic goals communicated by or to the coach should be stopped, altered and implemented in a manner that makes them difficult but achievable. The coach’s communication style can also impact motivation, here knowing your athlete is key. Do they respond to enthusiasm, constructive criticism, energetic conversation etc. All in all, motivation is a very complex and fluid thing. What we do know is that there are many different types, influences and strategies to enhance it. 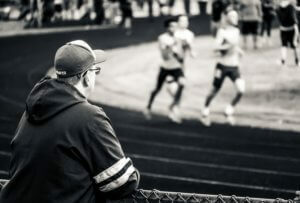 Being self-reflective in your approach to sport is very helpful here in that you as the athlete know what and how your motivation is affected. Once you realise this you may then start to implement strategies into your athletic pursuits that positively influence your motivation! 1 Sage (1977); cited in Weinberg, R. S., Gould, D., & Weinberg, R. (2003). Foundations of sport and exercise psychology. 2 Bandura, A. (1986). The explanatory and predictive scope of self-efficacy theory. Journal of social and clinical psychology, 4(3), 359-373. Imagery, 14 (3 and 4), 153 – 172. 4 Nicholls, J. G. (1984). Achievement motivation: Conceptions of ability, subjective experience, task choice, and performance. Psychological review, 91(3), 328. 5 Moran, A. (2004). Attention and concentration training in sport. Encyclopedia of Applied Psychology, 209-214. What Happens Your Body When You Train for Endurance Sport?